The 4. Bayreuth-Frankfurt-Leidener Kolloqium zur Berberologie took place from September 21st–23rd, 2006 at the Institute for African Studies of the Goethe-University in Francfort/Main. 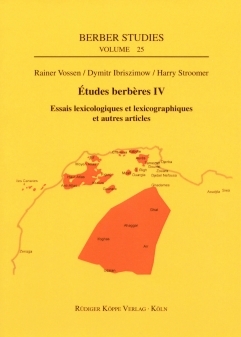 Focus of the conference were lexicology and lexicography of the Berber languages. Further topics included a unified writing system for Berber languages, some dialectology and proverb collections. Que veulent dire les proverbes touaregs?